It is just not looking good for the Rebels in this trailer for season three of Star Wars Rebels. The Rebellion is clearly growing, but the Imperials are getting the upper hand. There’s a lot packed into the end of this 30-second trailer. In the footage from Star Wars Celebration, we saw that there was a plan to steal a squadron of Y-Wings. That’s repeated here, except the old Wishbones are actually flying this time. There’s also a possessed Darth Maul with glowing green eyes, which Kanan also has in a later scene—right before he tries taking out Ezra with his lightsaber. 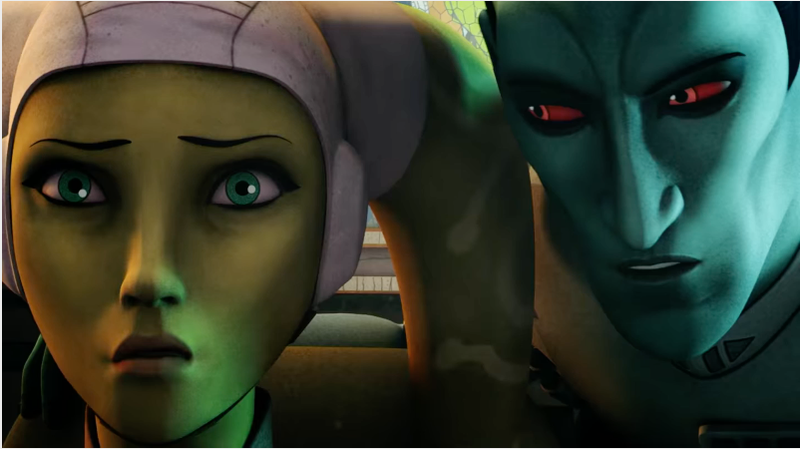 We also see that the speech Thrawn’s been giving in a couple of videos—where he threatens to pull the Rebels apart “piece by piece”—is delivered to Hera. She looks like she might be captured? The background is Thrawn’s art collection, so she’s in his domain. A lot happens, and it goes by fast, so watch this a few times.